The eleventh century (1000 – 1100 AD) saw peace and prosperity gradually begin to return to Europe after several centuries of war and poverty since the collapse of the Roman Empire at the end of the 5th century. Encouraged by the Catholic Church, communities began to replace their small wooden chapels with large stone churches. These builders looked to the structures of ancient Rome for guidance and for inspriation. These new churches were in the style of the Romans and therefore called Romanesque. 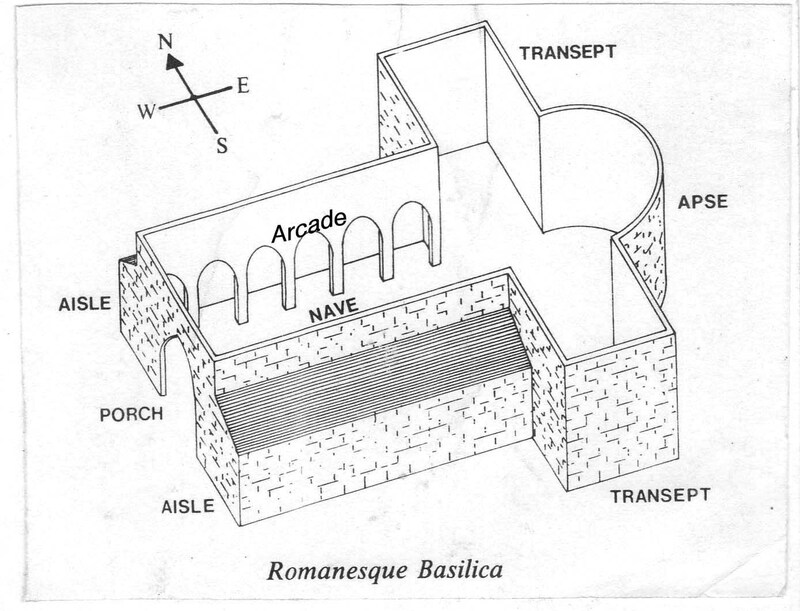 The Romanesque church was based on a Roman structure; the Bascilica ; A long rectangular building with a central nave and two aisles – one on either side. 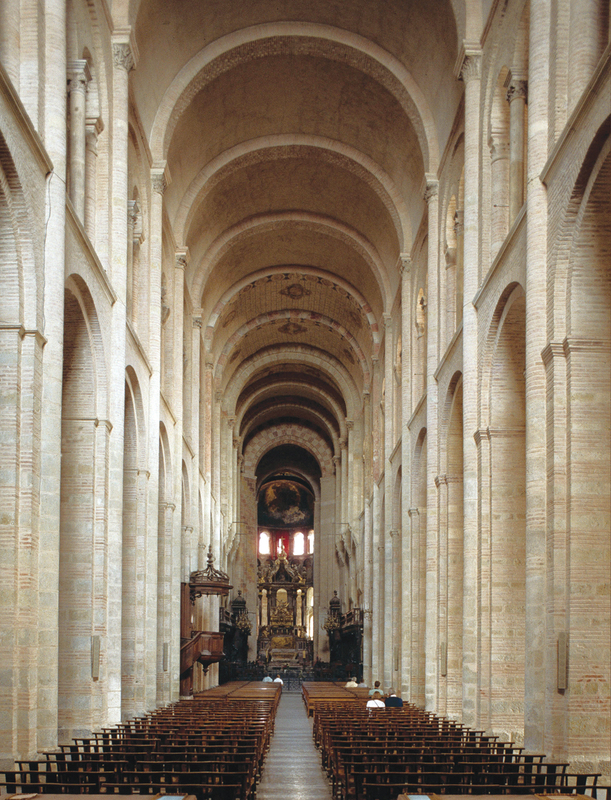 The aisles were seperated from the nave by an arcade consisting of a row of pillars and arches. The Romanesque bulders added to two transepts the top of the nave, one on either side to form a crucifix shape. Behind this was a small recess called an apse. This structure was the standard format for a Romanesque Church. Later on as Romanesque architecture developed, towers and other such features were added. Romanesque Churches were built completely of stone and in some cases of brick. This was a huge improvement on previous churches which were constructed with a wooden roof – a stone roof was permanent since if would not burn or rot. Stone was cut into wedge shapes blocks valled voussoirs. These were built up to form a vault. There were two main types of vaults; Barrel Vaults and Groin Vaults. Holding up the weight of a stone roof proved to be problematic. As the stone was very heavy – much heavier than wood, it created pressure on the walls of the church – this is called “ Outward Thrust”. As the walls were at risk of collapsing under the pressure of the outward thrust, Romanesque builders made the walls extra thick to compensate for this pressure – 2 to 3 meters in thickness. The thick walls gave Romanesque Churches a very heavy appearance. Also; very few windows could be built as this would weaken the walls, this meant that Romanesque churches were very dark inside. 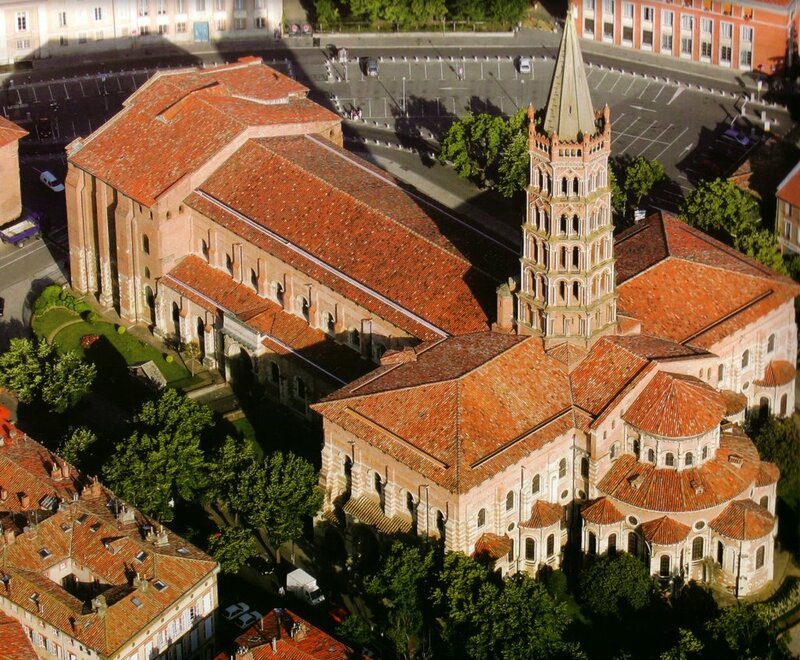 St Sernin’s is a large Romanesque Church. 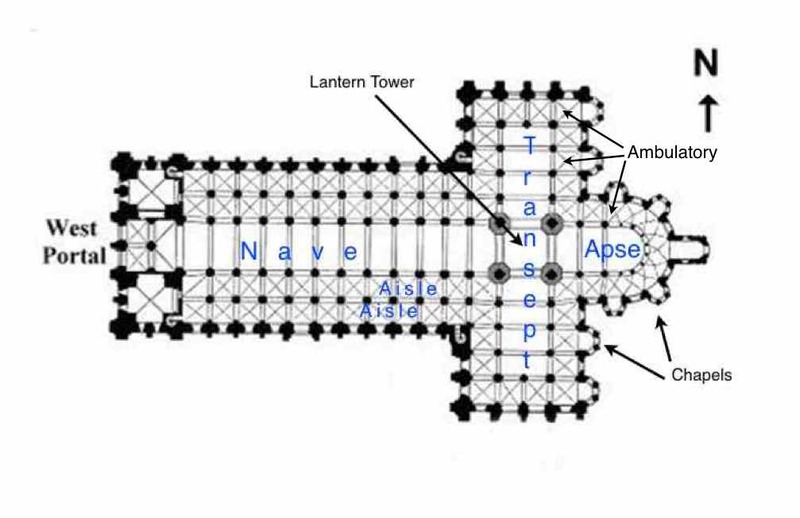 It was located in Toulouse along the pilgrimage route to Santiago de Compostela in Spain, ( where St james is reputedly buried) so it was built extra large to accommodate the numerous pilgrims aswell as the local population. 5) Nine small chapels at the back of the chuch behind the transept and the apse. 1) firstly sculpture was used to decorate the church; very often sculpture was placed in prominent positions such as the capitals ( top of the pillars) or the Tympanum ( the space over the doorway). 2) Secondly, Sculpture was used tell the stories of the bible to the ordinary people. At that time there were very few books in existence as they has to be written by hand. Almost all the population with the exception of the clergy could not read or write. These scupltures were used by the church to teach the bible. 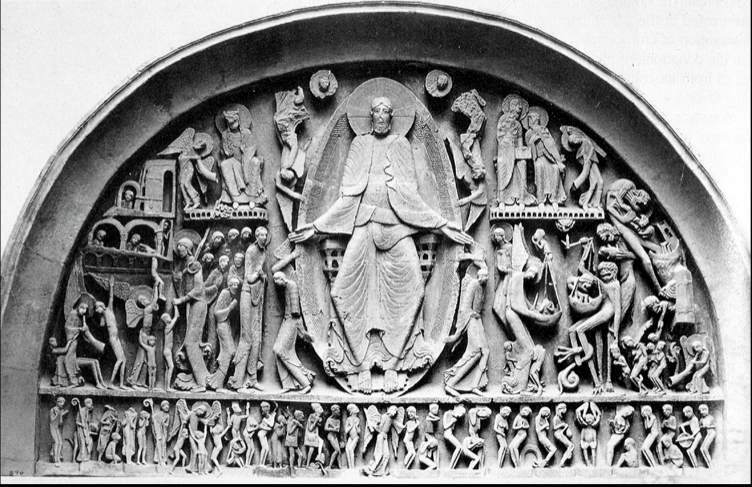 Romanesque sculpture is carved “ in relief”. This means that it is not free standing but is carved out of the background support. Sculptors had not yet developed the skills and techniques to carve a fully 3-dimensional figure. 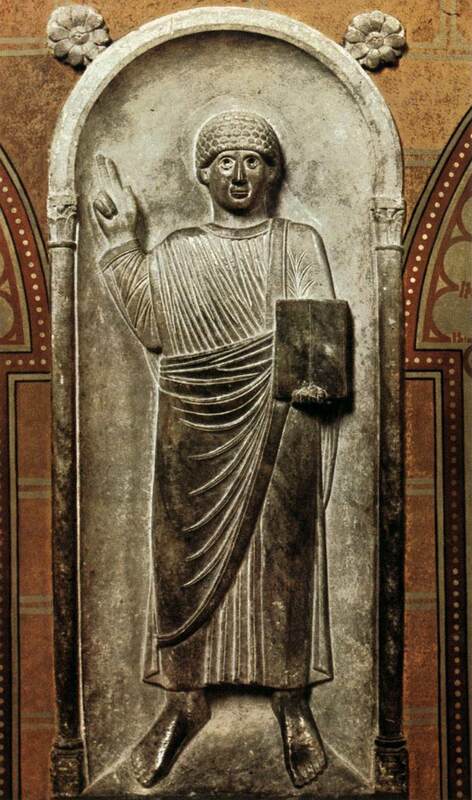 Gislebertus is perhaps the most famous sculptor of the Romanesque Era. 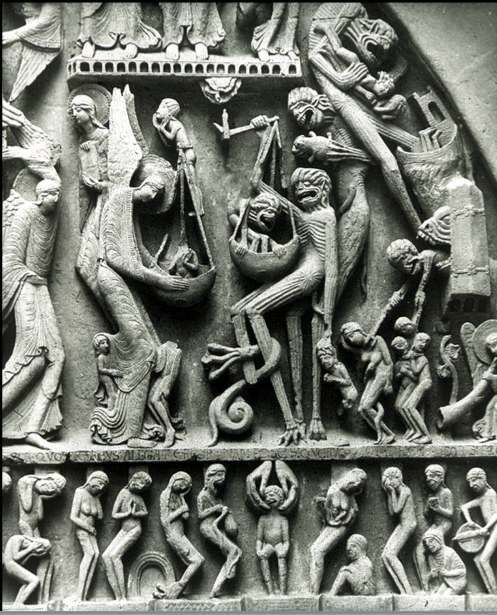 His work on the Cathedral of St Lazare in Autun, France 1120 -1135 is the most original sculpture of the period. Gislebertus is a master of visual storytelling and his work brilliantly expresses the stories from the bible. The Last Judgement is Gislebertus masterpiece. 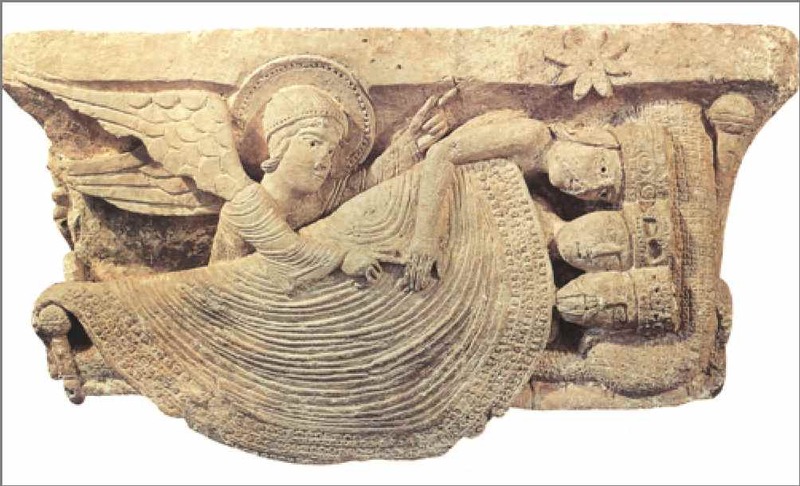 It is carved into the Tympanum of St Lazare, Autun. ( A Tympanum is the semi-circular space over the doorway). Gislbertus boldly carves his name below Christs feet – Gislebertus Hoc Fecit ( Gislebertus made this). The large figure of Christ is enthroned in centre with four angels – one either side of his head and one at each foot. On Christs right side are the good souls who will be saved and who are being helped into heaven by St Peter and the angels. On Christs left side – the Archangel Michael weighs each soul to see who is worthy to enter heaven. The devil is there to take the unworthy souls to hell. Below Christs feet the unweighed souls line up in purgatory waiting their turn to be weighed. In the Last Judgement Gislebertus shows us why he is master of visual story telling. The expressions on the faces and his use of hand gestures conveys strong emotion to us. Gislebertus had a talent for drama and his vision of the Last Judgement must have been truly terrifying to people of the medieval era who gazed upon it.